The German government has zero evidence from the British authorities that could back London’s claims that Moscow was behind the poisoning of the Skripals, German media reports. 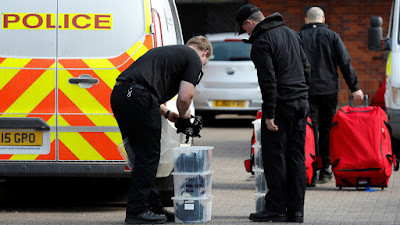 More than three months since the start of the probe into the poisoning of former Russian double agent Sergei Skripal and his daughter Yulia, the UK is still conspicuously tight-lipped when it comes to any real evidence that could prove its accusations against Russia. On Wednesday, the German government informed a parliamentary oversight committee during a closed hearing that it still has not received any evidence suggesting that Russia might well be behind the incident that took place in early March, German TV station RBB reports. “The BND, Germany’s foreign intelligence… has also contacted its own sources and tried to verify the information [about Russia’s potential involvement] in some way,” he told RBB, adding that it eventually failed to find any evidence pointing to Moscow as well. Following the poisoning, which London blamed on Moscow using the now infamous wording “highly likely,” the UK and its allies expelled dozens of Russian diplomats, with Moscow giving a mirror response. Russia has categorically denied any involvement, and has complained that the victims were not allowed visits by Russian lawyers and diplomats, and the results of the investigation were kept secret. The Russian envoy to the UK has on several occasions alleged that London was even trying to “destroy” evidence in the probe. The probe has already cost £7.5 million ($10 million) to British taxpayers, according to the region’s police and crime commissioner. Meanwhile, both Sergei and Yulia Skripal have been released from the hospital following the incident on March 4.